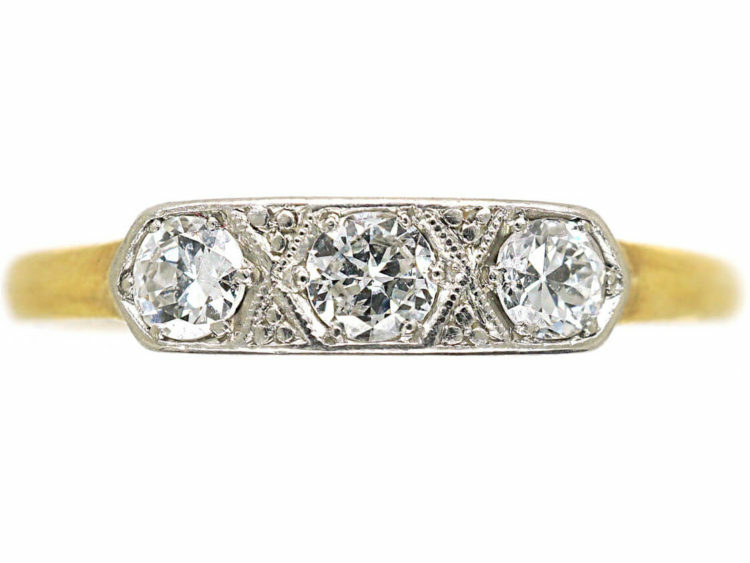 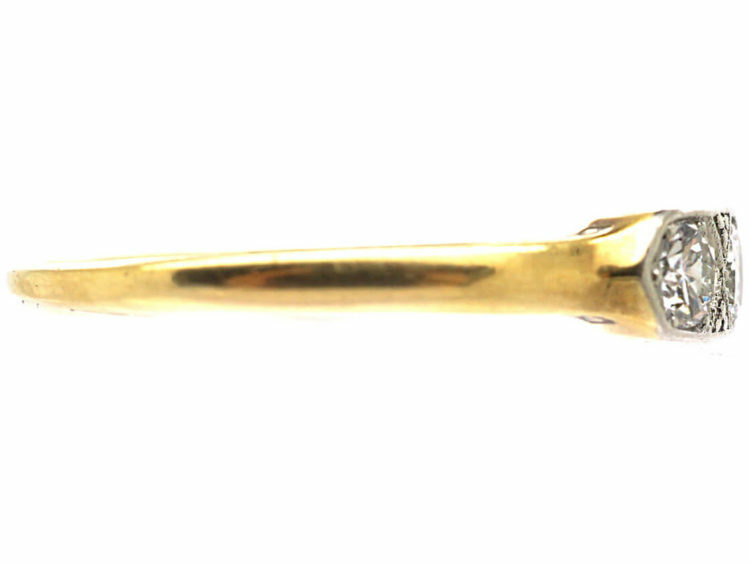 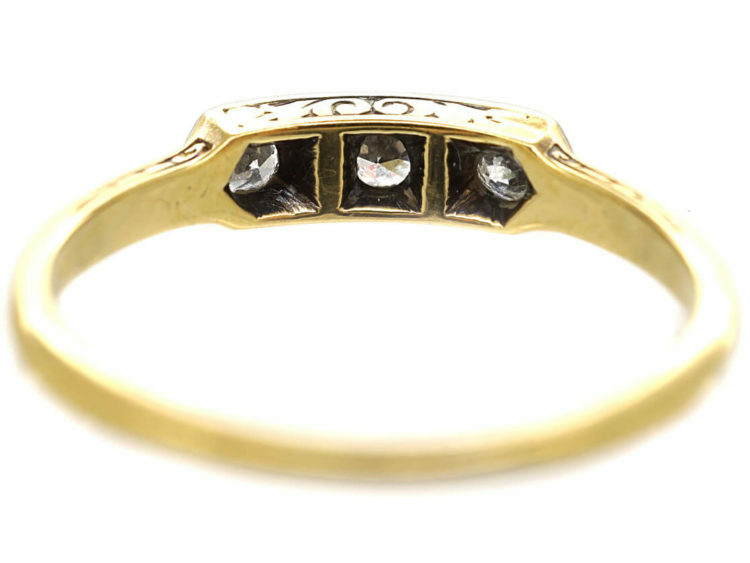 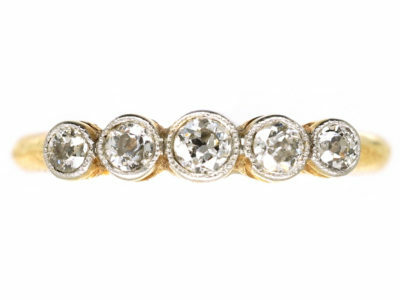 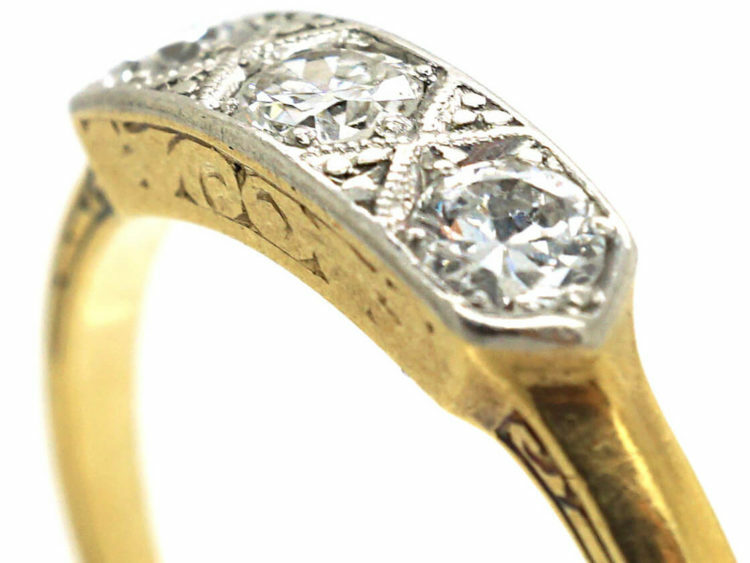 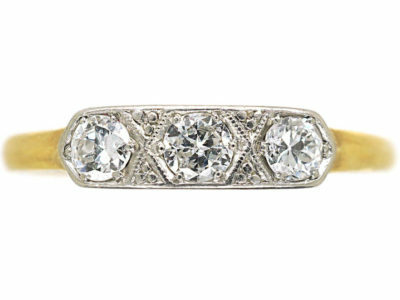 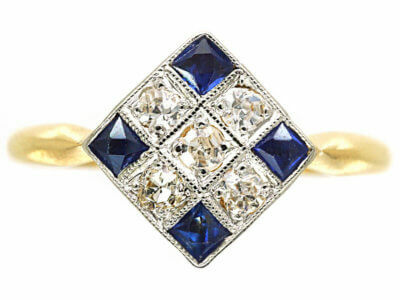 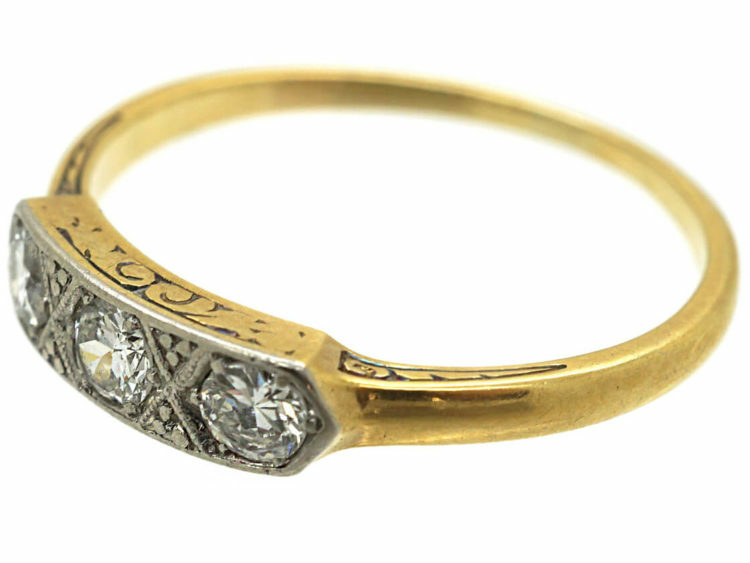 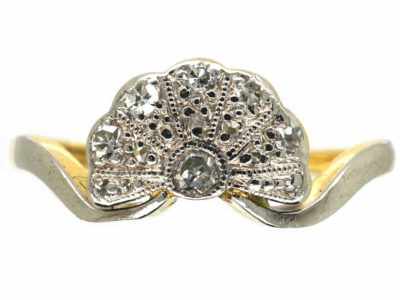 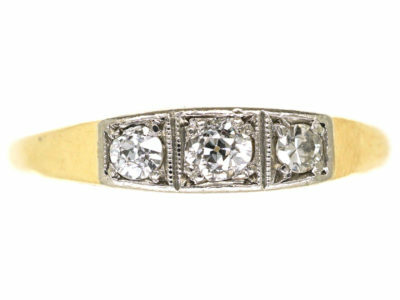 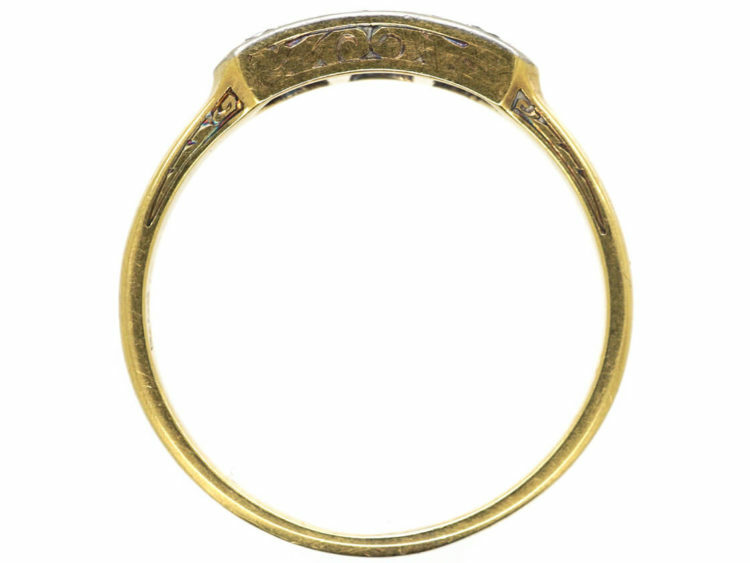 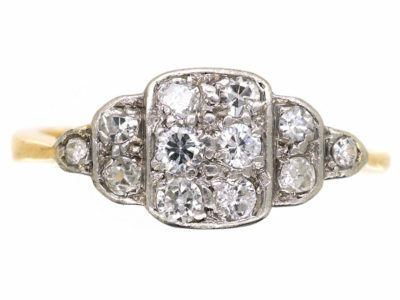 A pretty 14ct gold ring with a platinum top that was made in Austria circa 1920. 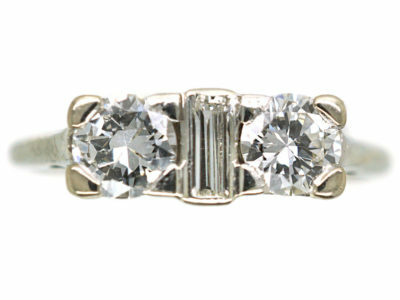 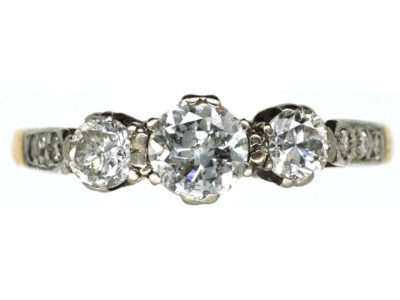 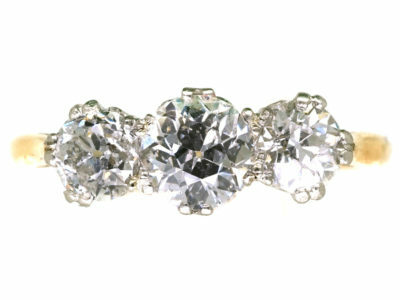 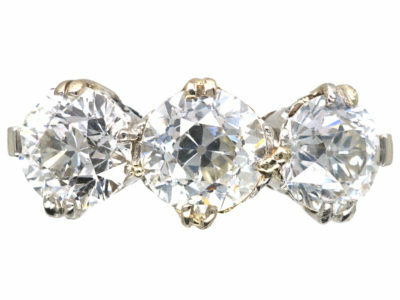 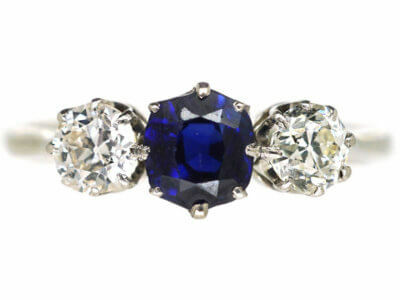 It has been set with three well matched white diamonds with platinum detail in between. 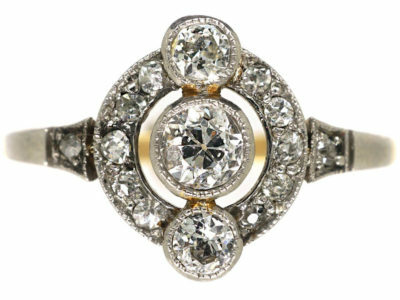 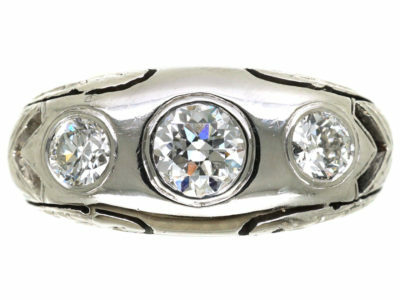 It would make an ideal engagement ring as it is practical to wear and easy to add a wedding or eternity ring next door to it.